Image-sharing platforms are crucial tools for artists and creatives who wish to get their work seen by the public and boost their businesses. Social media giants like Instagram and Facebook have primarily taken the lead, but most artists haven’t fully explored other platforms, like Pinterest, to help them distribute and promote their creative products. However, many artists use Pinterest to illustrate their creative process while promoting their own work for sale, and it can be an effective tool for building a following on a platform that isn’t as heavily trafficked as Instagram. So, how exactly does Pinterest work, and how can designers and artists use Pinterest to get more eyes on their work? Artrepreneur spoke with two artists with large digital presences in an effort to demystify the platform and obtain a better understanding of how artists use Pinterest. 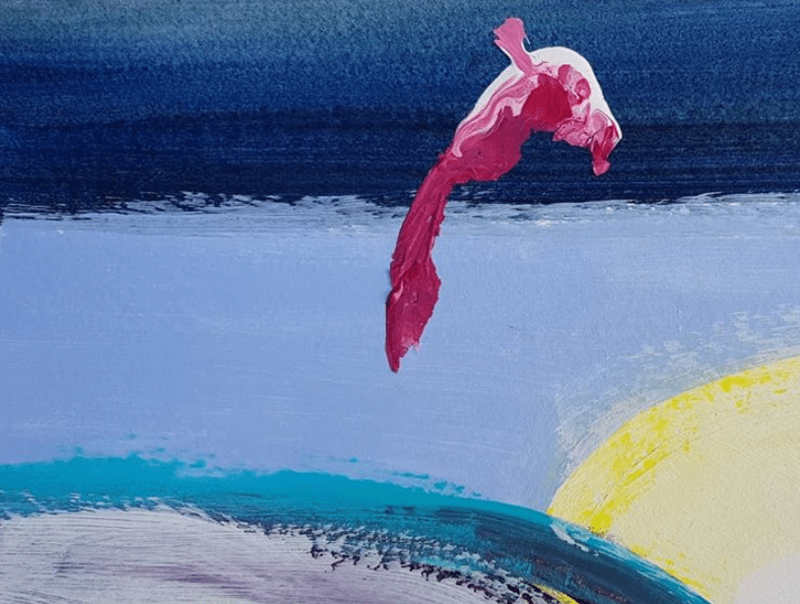 Artist and illustrator Nellie Le from Los Angeles and artist and teacher Tara Leaver from Cornwall in the United Kingdom described their vastly different Pinterest experiences while offering their advice on how to market art on Pinterest to promote your creative practice. 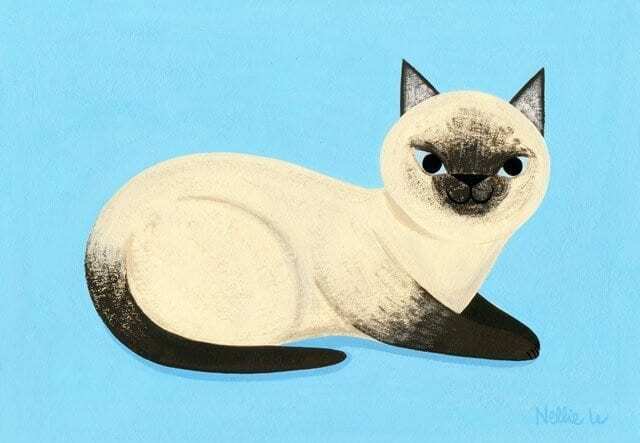 “Siamese Cat” by Nellie Le. Courtesy of the artist. 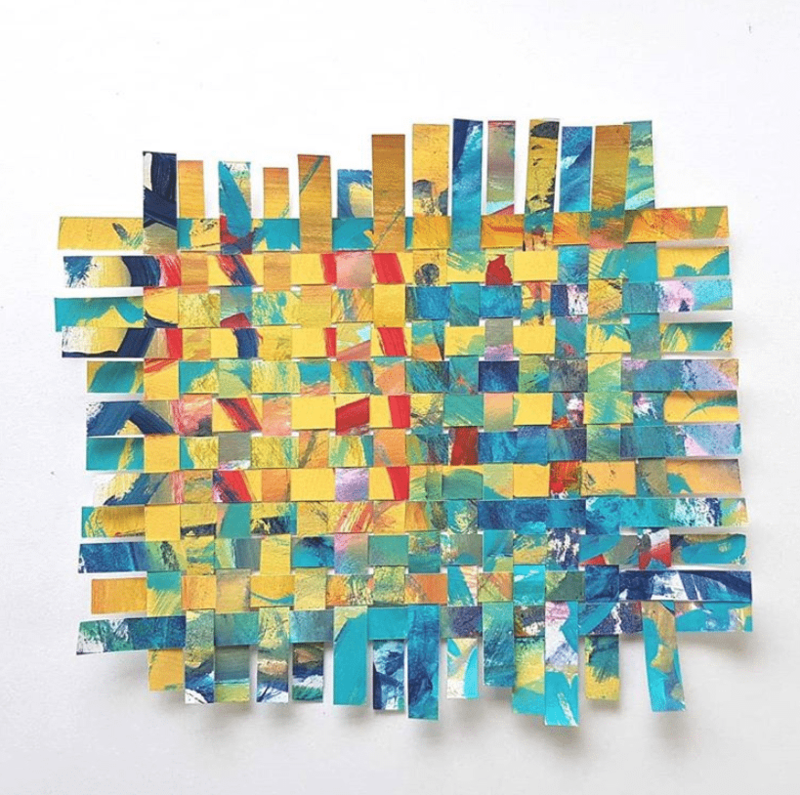 How Do Artists Use Pinterest? Leaver is currently preparing to launch the next session of her online painting course entitled “Abstractify” in July. To help inspire her students and prepare references, she created a Pinterest board of the same name to accompany the course. The board contains pins of various visual references, like colorful landscape oil paintings by masters like Matisse, Chagall, and Hockney. Nellie Le, an independent artist with a degree in graphic design, describes Pinterest as a “mood board hub.” She has worked for various art and design companies in the past, and says apparel design teams in particular use Pinterest as a place to collect and store various visual themes – like color and texture inspirations – for their upcoming collections. Since pursuing her own art business full-time, though, Le says that she mostly interacts with Pinterest through her Shopify online store, where she sells animal and food-inspired original paintings in hybrid acrylic gouache paint, prints, pins and stickers, and other handmade items that embody her cute aesthetic. Shopify, an e-commerce platform, has a partnership with Pinterest, which allows Le’s customers to purchase her pinned products directly on Pinterest in the form of “Buyable Pins” without redirecting to her online store. Image via Tara Leaver’s Instagram. Pins are the rounded corner rectangles that aggregate to make up the Pinterest interface. Pins can be made by any Pinterest user, and they link to the website they are saved from. As an artist, you can make pins from your own website or online store, or from any site you like. If you like an existing pin you see on Pinterest, you can save it to one of your boards by clicking on the save button in the upper right corner of the pin. If you want more information about a particular pin or want to go to the source website, click on the pin and it will redirect you. Pinterest Boards are how Pinterest users can organize their ideas, and they set apart amateur and expert pinners. A user’s board game tells you how well they know how to take advantage of the site. When you save a pin, you choose the board where you want it to appear. You can even subdivide a large board into different sections. You can also share a board with other people or have secret boards that can only be seen by you and whomever else you choose. You can follow people, topics, or certain boards and your Home feed shows the pins saved by those you follow. You can look for any image in the search bar by typing keywords or by taking a photo with your device for a visual search. Leaver says the key to using Pinterest is organization. “There’s a side to me that loves organising things, so Pinterest really lets me indulge that,” she says. She has 90 different boards that include a dedicated board for posts from her blog, art inspiration boards like “Art Love: Paintings of Water” and “Art Love: Figurative,” a board for her own paintings that are for sale, and boards titled “Creative Encouragement” and “Cultivating Your Artist Self” that contain inspirational quotes. Leaver, who has a staggering 760,000 monthly viewers on her account, reveals how she maintains her weekly Pinterest presence. “Each week I pin the graphic for my latest blog post to various boards, including group boards – both mine and others I’ve joined. These are a huge help because so many more people see and can repin them. I also pin new work to a couple of boards, again both my own and group boards for selling work. Sometimes, I’ll pin from my Instagram account too. While I’m on there I’ll spend some time pinning to various boards to keep them fresh. I create a board for every course I offer as well,” she explains. 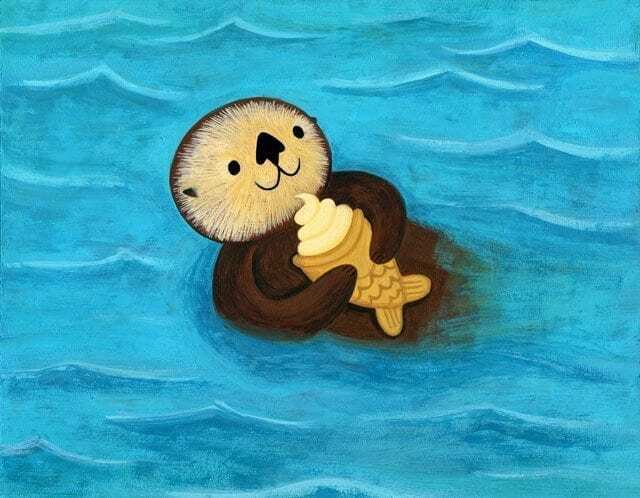 “Sweet Sea Otter” by Nellie L. Courtesy of the artist. Pinterest isn’t necessarily the place where you’ll drive most of your sales as an artist. It can more accurately be conceptualized as an adjunct or supplementary part of your digital art marketing strategy as a creative professional. Pinterest is also useful for artists on a personal level to help stimulate and recall their own creative inspirations, and sharing those inspirations can ultimately pay off. Leaver uses Pinterest to target new followers to market to online. Image courtesy of the artist. As an artist or creative professional, you’re probably bombarded with an array of different digital demands, so you don’t necessarily have to tackle your Pinterest art marketing strategy on your own and build it from the ground up. Instead, you can get some free or low cost help to maintain your Pinterest presence. For instance, Le says the “Buyable Pins” feature that’s included with her Shopify online shop subscription is a free and low maintenance cross-pollination tool. The company, which is based in Austin, Texas, offers a free trial of up to 500 pins for 10 days. Leaver says she pays for the $5 per month plan and finds it to be a good value. Open a Pinterest Business account, so you can use your analytics strategically. Learn some basic graphic design skills, so you can make simple and attractive pins. If you aren’t adept with Photoshop, Leaver recommends a simple graphic tool like Canva. At the end of the day, everyone’s creative business is different, and figuring out how to maximize a digital art marketing strategy can be a trial and error process that continues to shift with constantly changing technologies. Great ideas here! I’m really trying to amp up my Pinterest engagement!